We’re planning for excellence, are you? 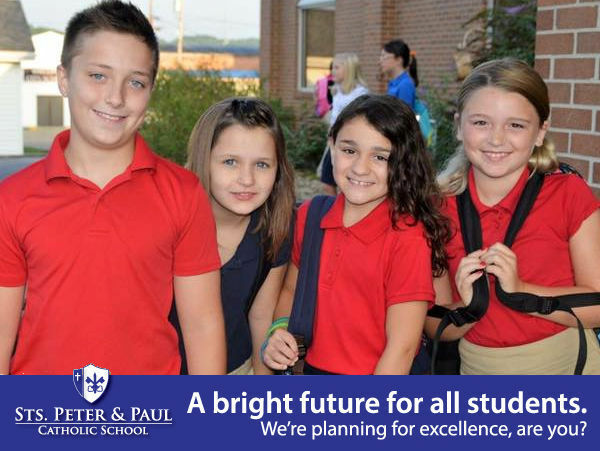 We prepare students for success, both academically and spiritually. As Christians, God should be at the center of our lives, meaning that we should consider Him in everything we do. Academic excellence and spiritual formation is important in the upbringing of our children. It’s more valuable than material things. Proverbs 16:16 says that having wisdom and understanding is better than having silver or gold. Nice and expensive items can be enjoyable, but there are very few things in life that can never be taken away, will never go out of style, and that truly make you a better person. An education is one of those things. Study hard and prove yourself. 2 Timothy 2:15 tells us that we should study and show God that we understand truth. This verse refers to knowing God’s word and being able to point out false teachings and philosophies, but it applies to education as well. Always put God first. Matthew 6:33 says that above all things in our lives, we should seek God, and everything else will be provided for us. As important as education is, it should never come before your relationship with God. When we put Him in front of all of our concerns and ahead of everything we do, we can trust that He’ll look out for the other things. mission, our service, and the results of our dedication to academic excellence and spiritual formation. YOU'RE INVITED TO BE LUCKY! Sts. Peter and Paul School will host the Pot of Gold Reverse Raffle on Saturday, March 9, 2019. ONLY 500 tickets will be sold, so GET YOUR TICKETS now! $10,000 in cash prizes will be distributed in one night! Don't miss your chance! The Pot of Gold is an exciting party and reverse raffle with 30 chances to win. The first draw is the Early Bird for $50; the next draw is the official start of the raffle for $500. The 250th draw is for $5000! You do not need to be present to win. Doors open at 6:00 p.m. with the drawing beginning at 7:00 p.m. Enjoy instant tickets, door prizes, adult beverages, delicious appetizers, wonderful people and lots of fun! One ticket not only gets you entered into the drawing, it is also admission for TWO adults for the PoG party that evening. Again, only 500 tickets are available, so get your tickets early.